Brian Sommerlad is the leading cleft surgeon in the UK. 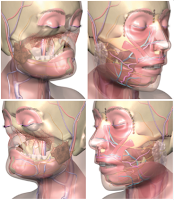 He presented an update on current cleft management at the November meeting of the plastic surgery section at the RSM. He has a personal website with information about his practice and work he does for various cleft charities. Amongst them are The Smile Train and a new charity called CLEFT. He has produced a number of DVDs demonstrating the operative techniques he uses in his practice. Register for them on his website and he will send them to you for free. 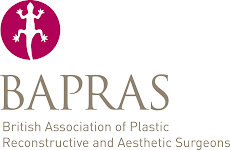 BAPRAS has won funding from the Department of Health to create a web based learning resource for UK Plastic Surgery (e-LPRAS project). It will be produced in conjunction with e-Learning for Healthcare. Mrs. Sarah Pape (Newcastle) is leading the project and has started to put together a curriculum based on the ISCP. She is looking for trainees and consultants to contribute to the project. If you are interested email her at this address: elpras.project[at]googlemail.com. The TOC for PRS arrived in my inbox a few days ago. In this months issue the team that performed the first US near-total human face transplant give an account of the procedure. Apparently the patient is doing well after 8 months follow-up. What is a surgeon in the 21st century? I'm looking forward to going along to this talk by Ian Hutchinson at the Osler Club of London in February. Iain Hutchison is a well known oral and maxillofacial surgeon at Barts, London. He set up the Facial Surgery Research Foundation ten years ago. 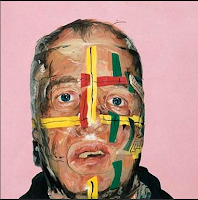 I became interested in facial surgery as medical student and remember visiting the 'Saving Faces' exhibition at the National Portrait Gallery. The collection of portraits of patients at various stages of facial reconstruction can be viewed on the charity's website. By the way The Osler Club of London was founded in 1928 to encourage the study of the History of Medicine and remember Sir William Osler. It's based at the Royal College of Physicians. I went to this excellent exhibition when it was on a couple of years ago at the National Army Museum. The Project Facade website is definitely worth exploring. The PLASTA website has undergone a revamp. It now has news, courses, conferences, fellowships all listed on the site. Not much in the way of educational content at the moment but more is promised. Chirurgi Plastici Fenniae is the Finnish Association of PRAS. As mentioned they are organising the WSRM conference in 2011. Unsurprisingly the website is in Finnish but you can use Google to translate it. For the historians amongst you there is an extensive history of plastic surgery in Finland . . . I hope to build up a comprehensive list of worldwide plastic surgery associations and societies. The World Society of Reconstructive Microsurgeons came into existence following a merger between the International Microsurgical Society and the International Society of Reconstructive Microsurgery. The 6th Congress of the WSRM will be held in Helsinki next year (29th June - 2nd July 2011). It is being organised by the Finnish Association of Plastic, Reconstructive and Aesthetic Surgeons. During my search for general interest plastic surgery blogs, I found 'Plastic Surgery 101'. It's not as deviant as the name suggests. I'm in the process of researching a paper on microsurgery. Check out the website of the American Society for Reconstructive Microsurgery to find out what they are up to across the pond. Excellent 3-day course at Charing Cross Hospital, Imperial College London, UK. It is supported by BAPRAS. Register here. Now in its third year, the Undergraduate Plastic, Reconstructive and Aesthetic Surgery Conference is a very worthwhile conference to attend if you are a medical student or junior doctor interested in plastic surgery. It will be held at Charing Cross Hospital on Sat 6th and Sun 7th February 2010. Tickets available here. I am going to be running the burns tutorials. . .
No, not the blog but a programme on Radio 4 this lunchtime presented by Jenni Murray. She was diagnosed with breast cancer in 2006 and subsequently underwent a mastectomy and chemotherapy. In the programme she returns to an operating theatre to speak to her surgeon and watch him perform a similar procedure. What qualities does a surgeon need to undertake this kind of surgery? Listen to it here for the next 7 days. John Davies' book is available here. During my basic surgical training I co-edited a surgical textbook called 'Training in Surgery'. As no one is reading this blog yet a bit of shameless self publicity is allowed . . . It was published in 2009 by Oxford University Press and is available from all good bookstores including Amazon. Essential reading for basic surgical trainees. There is a excellent chapter on plastic surgery for beginners. I am also the editor of the 'Oxford Specialty Training' series of which the book above is part of. Check out the series here. Modern day plastic Surgery has a relatively short but distinguished history. Sir Harold Delf Gillies, a New Zealander, is widely regarded as the father of plastic surgery. 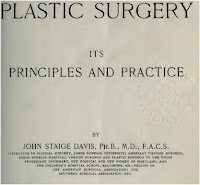 In 1920 he published Plastic Surgery of the Face a year after the publication of John Staige Davis’ Plastic Surgery its Principles and Practice. Prof. M F Freshwater gave an insightful talk on the two books at the winter BAPRAS conference 2009. The Gillies book is available here and I'm still trying to find Davis' book. . . Here we go. This my first post on the 'plasticsurgeryproject' blog. Plastic surgery is a fantastic surgical specialty with lots to talk about. The aim is to share views on innovations, great plastic surgery resources, training, fellowships and much more!